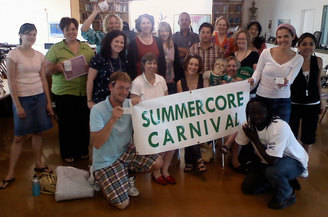 Our Summercore Marathon can be customized to fit the needs of your faculty. You can arrange for a 5-day marathon session or shorter 1-3 day programs. We will create a curriculum tailored to energize and excite your faculty; we pride ourselves on our ability to reach even the most hesitant technology user. As teachers ourselves, we understand curriculum and the need to integrate technology meaningfully and carefully.